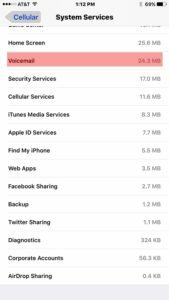 You are at:Home»iPhone»Does iPhone Voicemail Use Data? Visual Voicemail Explained. Visual voicemail revolutionized voicemail when it was introduced alongside the first iPhone in 2007. We were used to calling a phone number, entering our voicemail password, and listening to our messages one at a time. Then came the iPhone, which changed the game by integrating voicemail into the Phone app with an email-style interface. Visual voicemail lets us listen to our messages out of order and delete them with the swipe of a finger. This was no small feat for Apple developers, who worked closely with AT&T to create a seamless interface between the iPhone and AT&T’s voicemail server. It was well worth the effort, and it changed voicemail forever. 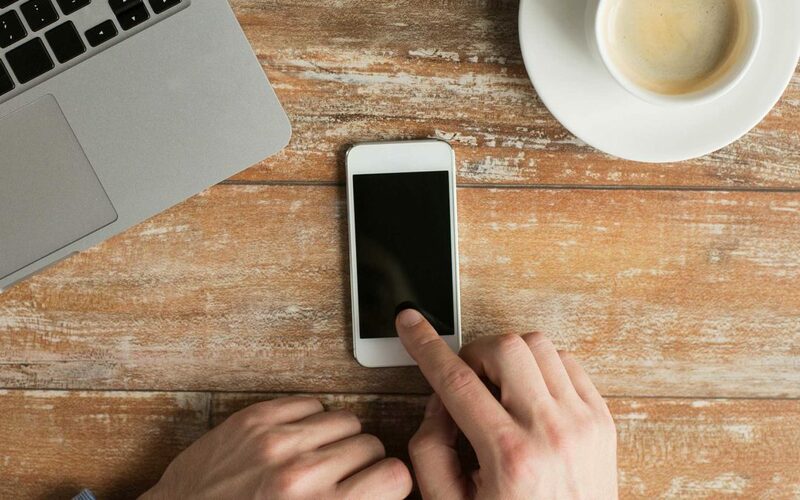 In this article, I’ll explain the basics of how visual voicemail works and answer a popular question asked by Payette Forward readers: Does visual voicemail use data? If you’re having trouble with the voicemail password on your iPhone, check out my other article, “My iPhone Voicemail Password Is Incorrect”. The concept of voicemail hasn’t changed since the introduction of the answering machine. When cell phones were introduced, voicemail moved from a tape in your answering machine at home to a voicemail box hosted by your wireless carrier. In this respect, voicemail lived “in the cloud” before the phrase was every coined. The voicemail we used with our first cell phones wasn’t perfect: The touch-tone interface was slow and cumbersome and we could only listen to voicemail when we had cellular service. Visual voicemail fixed both those issues. Your phone rings and you don’t pick up. The caller is routed to a pilot number at your carrier that acts like an email address for your voicemail. The caller hears your greeting, leaves a message, and your wireless carrier stores your message on their voicemail server. Up until this point, the process is exactly the same as traditional voicemail. After the caller finishes leaving you a message, the voicemail server pushes the voicemail to your iPhone, which downloads the message and stores it in memory. Since the voicemail is stored on your iPhone, you can listen to it even if you don’t have cell service. Downloading voicemail on your iPhone has an additional benefit: Apple was able to build a new app-style interface that lets you listen to your messages in any order, unlike traditional voicemail where you had to listen to every voicemail in the order in it was received. A lot happens behind the scenes when you use visual voicemail, and that’s because your iPhone needs to stay in sync with the voicemail server hosted by your wireless carrier. For instance, when you record a new voicemail greeting on your iPhone, that greeting is immediately uploaded to the voicemail server hosted by your carrier. When you delete a message on your iPhone, your iPhone deletes it from the voicemail server as well. The nuts and bolts that make voicemail work are essentially the same as they always were. The iPhone didn’t revolutionize voicemail technology; it revolutionized the way we access our voicemail. To set up voicemail on your iPhone, open the Phone app and tap Voicemail in the bottom right-hand corner of the screen. If you’re setting up voicemail for the first time, tap Setup Now. You’ll choose a 4-15 digit voicemail password and then tap save. After you enter your password again to make sure you haven’t forgotten it in the last 5 seconds, your iPhone will ask you if you’d like to use a default greeting or a customized greeting. Default greeting: When a caller gets your voicemail, the caller will hear “You have reached the voicemail box of (your number)”. If you chose this option, your voicemail box is ready to go. Customized Greeting: You’ll record your own message that callers hear when you don’t pick up. If you choose this option, your iPhone will open a screen with a button to record your voice. When you’re done, tap stop. You can tap the play button to make sure you like your message, record it again if you don’t, and tap save when you’re done. How Do I Listen To Voicemail On My iPhone? To listen to voicemail on your iPhone, open the Phone app and tap Voicemail in the bottom right-hand corner. 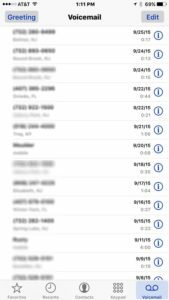 Does iPhone Visual Voicemail Use Data? Yes, but it doesn’t use much. The voicemail files your iPhone downloads are very, very small. How small? I used iPhone backup extractor software to transfer the voicemail files from my iPhone to my computer, and they’re tiny. How Much Data Does Visual Voicemail Use? iPhone visual voicemail files use about 1.6KB / second. A one-minute iPhone voicemail file is less than 100KB. 10 minutes of iPhone voicemail uses less than 1MB (megabyte). For comparison, Apple Music streams at 256kbps, which translates to 32 KB / second. iTunes and Apple Music uses 20x more data than voicemail, and that’s not surprising given the low-quality of voicemail. If you’d like to see how much data visual voicemail uses on your iPhone, go to Settings -> Cellular -> System Services. It’s important to note that if you’re worried about using data, you can call your wireless carrier and remove visual voicemail. Voicemail would switch back to the way it always was: You’d call a number, enter your voicemail password, and listen to your messages one by one. Visual voicemail is great, whether you get one voicemail a month or one-thousand. It allows you to listen to your voicemail even when you don’t have cell service or Wi-Fi, and you can listen to them in any order you like. We’ve covered a lot in this article, from the evolution of voicemail to how much data visual voicemail uses. Thanks again for reading, and if you have any questions, feel free to ask them in the comments section below. Previous ArticleA Gray Box Is Blocking Messages On My iPhone. The Fix! Next Article My iPhone Is Frozen! What To Do When Your iPhone Freezes.